Hello, and happy Thursday, dear muffins! It's nearly Friday, so hang in there - we can make it together. 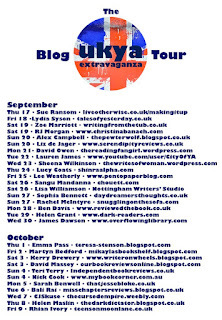 My post on Carly's blog is chock-full of recommendations for amazing books written by UKYA authors, so check it out if your TBR pile is looking a little low or you're taking part in the UKYA Challenge this year. You won't regret it! 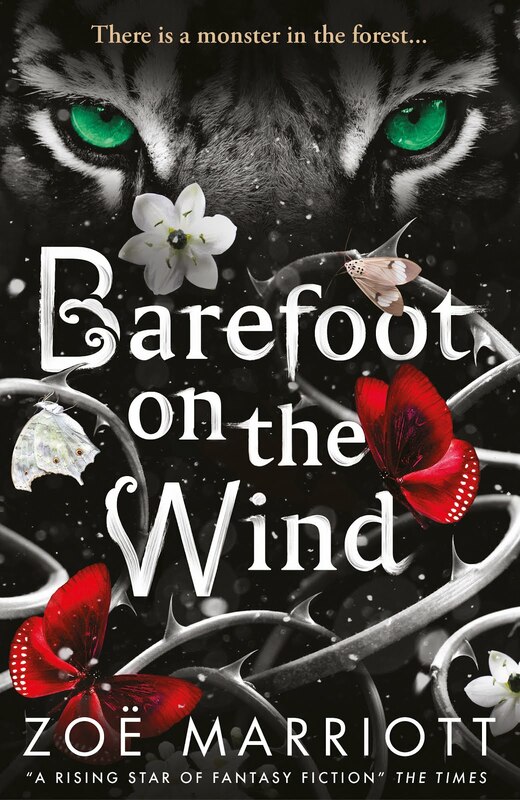 In other news, this week I'm reaching the end of my first edit (with my editor) on Barefoot on the Wind (otherwise known as #BaBBook) and am still just loving this book so, so much. I want to wrap it in snuggly hugs forever because it's the Beauty and the Beast retelling I always wanted. I'm just really hoping that everyone else likes it as much as I do! 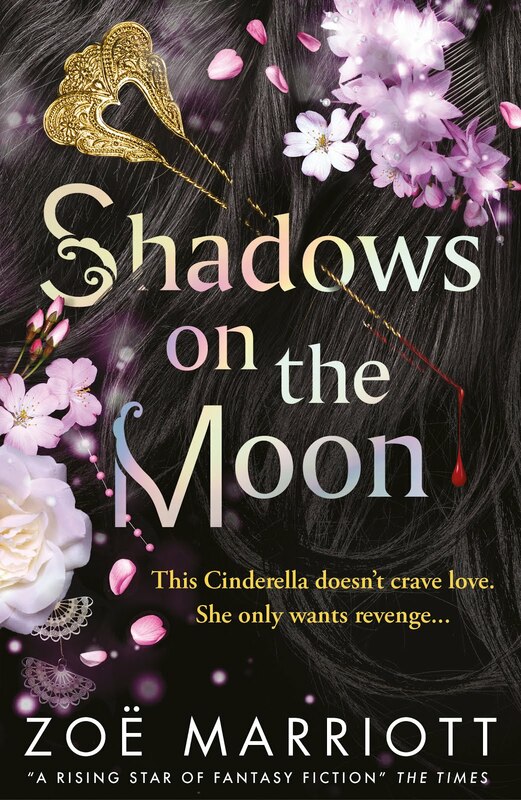 I have some news relating to this book that I'm not allowed to share yet, which is also pretty exciting (not that exciting - lower your expectations, no film deals are in the offing) but I'll tell you about it as soon as I can. To tide you over, there's a snippet from the current version of the ms under the cut - subject to change as always! Surprise Monday post! I'm sorry to have missed posting last week, Dear Readers. I wanted to wait to get confirmation that I could share some news, but then over the weekend I saw that the news was out anyway (as always seems to be the way for me). So I decided to do a bumper post with everything included today! Brace yourselves, muffins. 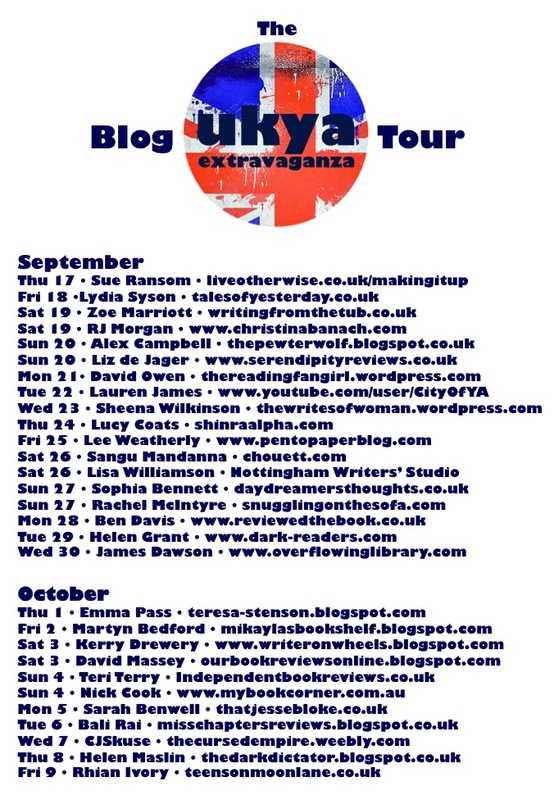 First up, just in case anyone's missed all the excitement about UKYAX - that is, the United Kingdom Young Adult Extravaganza - over on Twitter... yes, I am in the line-up this time! Hurray! I was gutted to miss it last time, especially as I was right there with the two fabulous organisers, writer-pals Kerry Drewery and Emma Pass, when the idea first crystallised. Stupid railways. 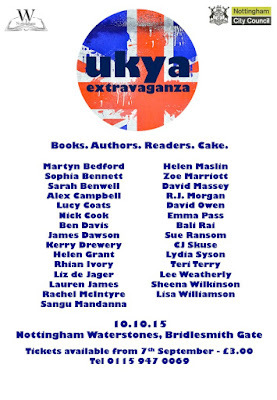 Anyway, it would have taken a charging Rhino that looked like Katie Hopkins to keep me away this time (and even then I'd have put up a fight) so I will be there, at Nottingham Waterstones, with an absolute plethora of amazing fellow UK YA writers, on the 10th of October. Here's the event's Facebook Page, where updates and further exciting news shall be posted. But wait, there's more! This will not be my only event in October! On the 1st of the month I'm going to be at Leeds Waterstones at 7pm, taking part in a really exciting panel event on Mental Illness and Diversity in YA with another great line-up of YA writers. We'll have a panel discussion, a Q&A, and a signing session afterward. I'm really looking forward to this one - anyone who's read my books knows that mental illness is a topic very close to my heart, and I think everyone must have heard me banging on about the importance of diversity by now. The other authors present will be Annabel Pitcher (author of My Sister Lives on the Mantelpiece), Kim Slater (author of Smart), Hayley Long (author of Sophie Someone) and Martyn Bedford, who is a Walker author like me! He's the author of Flip and Never Ending. The two of us have met before (at the Leeds Book Award) and I know he's a very lovely man, which makes me slightly less nervous about being on a panel with a line-up of such serious, literary writers. I really, really, really, REALLY hope that some Dear Readers will be able to make it to at least one (if not both!) of these events. They're in locations that are a bit more accessible to large swathes of the country than London, and they're at different times that hopefully can fit in with more people's schedules. 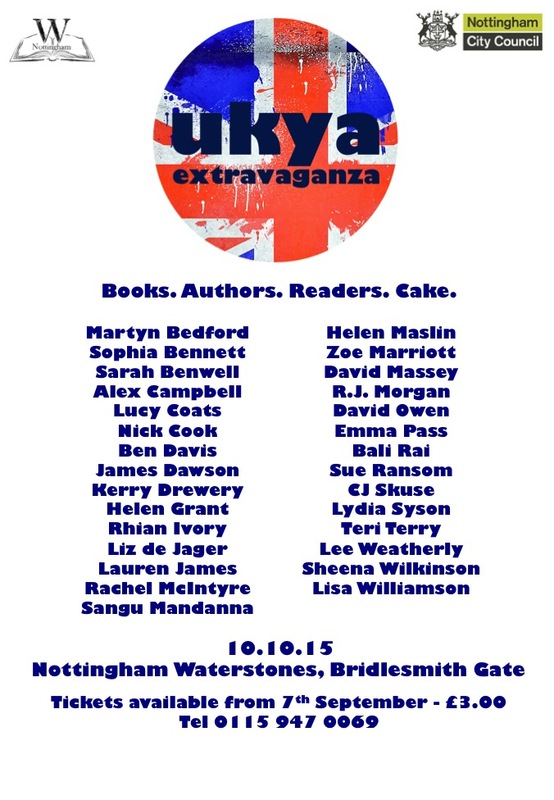 UKYAX is on a Saturday in the early afternoon from 13:00, for those of you who have work or school during the week. But if anyone's busy on Saturdays then the Leeds panel is in the evening - 19:00 - on a Thursday night, after work and school are finished. PLEASE COME AND SEE MEEEEE. Remember the rules if you do! No coming along and being too shy to approach me and then being bummed about it afterwards. I adore and treasure each and every one of you and it will quite literally make my day to see you. You are the reason I am there. But note that I am a compulsive hugger, so if you do not like hugs? Let me know. I will not be offended! Non-consensual hugging is not my scene. In other news. 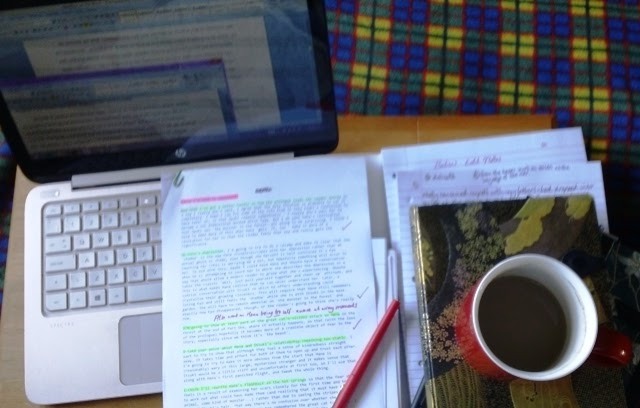 edits on Barefoot on the Wind are now under way, bringing the usual landslide of open tabs in my web browser, scribbled notes, frantic notebook-page-flipping and highlighting, groaning, and COFFEE SO MUCH COFFEE. Sunday morning... no rest for the wicked! It occurred to me yesterday that whenever I am editing I always feel a very strong urge to do my nails blood red. 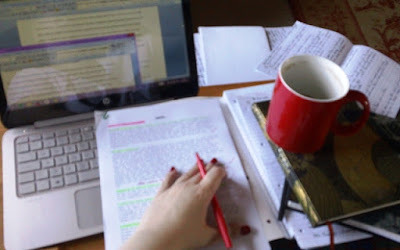 I'm not sure if this is because I'm metaphorically ripping the guts out of my book and want to look the part, or if wielding a red pen just reminds me how fond I am of the colour scarlet, but either way, here's proof of my Freudian slip. My nails also match my precious extra-large coffee mug. Coincidence? I think not. Well, that's all for today, my darlings. 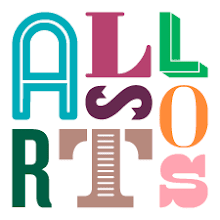 If anyone has any questions about reading, writing, or books (or anything, really, although I'm not an expert on tax or how to do a fantastic shadow-crease smokey eye look) that they would like answering here on the blog, let me know in the comments. Similarly, if you have ideas for blogposts you'd like me to write, drop me a line; I'm always happy to take your interests into account. Hello, hello, hello, Dear Readers - and Happy Wednesday! Today I bring you many emotions courtesy of my lovely US publisher, Candlewick Press, who sent me two things last week that made my bottom lip wobble (just a tiny, tasteful amount). You might be little confused as to why this would make me feel ALL THE EMOTIONS or why I felt the need to snap a picture. But consider. Copyedits/pass pages are literally the last stage that a book goes through before it's sent off to the copyeditor and actually becomes a book. 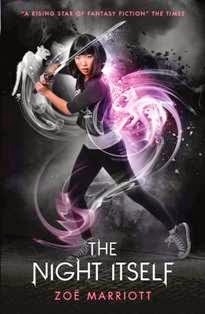 This is the final book of the trilogy. What that means is that this is the last time I will ever do work on or make changes to the trilogy. Ever. 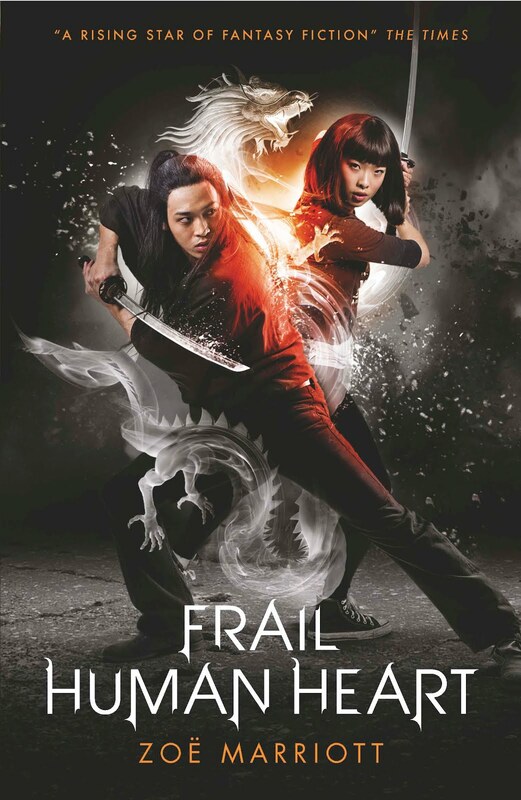 When I sealed up that big envelope to send it off to Candlewick Press (or rather, to my editor at Walker so that she could send it to Candlewick Press) I was saying goodbye to The Name of the Blade for the final, final time. Yes, it's the US dust jacket - brilliant blood red with red and silver stamped foil and the Name of the Blade logo (which, I just will never ever get over having a logo, hee hee!). So pretty, right? And it has the most lovely quotes on the back from reviews of The Night Itself/Darkness Hidden on the back! And look at it next to it's big sister! Just a note: the UK paperback edition of Frail Human Heart is up to seven lovely reviews on Amazon right now. When it reaches ten reviews, I'll pick one of the reviewers to receive a really special, unique trilogy-themed gift pack, so if you've read it and have something to say, get in there. Read you lately, my lovelies!